Ubidata truck and driver modules provide the right information so you can create smarter customer experiences and save you time and money. Ubidata’s integrated mobile logistics solutions enable you to take a global look at your day-to-day operations as well as streamlining issues on a strategic level. This means we can deliver you pragmatic information every day in real-time with alerts and warnings as well as reporting to help you see trends and long-term issues in your business. Take a look at at our Tachograph and CANbus modules. You can see how Ubidata intervenes at the pressure points to ease your supply chain making it more transparent, saving you time and money and bringing a more complete level of customer experience. Ubidata’s CANbus connections bring you real-time data about the truck’s speed, braking behaviour, emergency stops and even stationary behaviour. To these ends you can not only evaluate your drivers but train them to work in a more eco-friendly way. This combined with fuel monitoring via CANbus, means we can look at a holistic approach at driver management ensuring time and cost savings as well as promoting eco-friendly initiatives. Fuel usage reporting shows fuel consumption per trip, the fuel tank level and also generate appropriate alerts. Furthermore our Tachograph solution means you have more advantages in delivering a better customer experience. 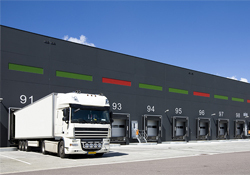 The era of paper tachographs is over with data routinely being recorded electronically. Of course our Tachograph module eliminates cumbersome manual administrative tasks, replacing paper shuffling with automated alerts and secure compliance. Ubidata goes further by offering a complete hands-free solution enabling you to download all data from the driver in real-time. The real power comes with Ubidata’s back-end systems converting this into meaningful information for you to act upon. This means our systems check for driver hour limits, or close-to limits and alert only when necessary, in real-time. But the real power lies in integrating this data into the big picture and delivering pertinent information which can have a direct impact on the operations. Combining driver hour data with Ubidata’s easy to use planning execution schedule you can see at a glance where hold-ups due to driver hour problems will come up. Rearrange the scheduling to match the drivers’ availabilities in real-time so you can offer a better all-round customer experience and alleviate pressure on the entire supply chain. This gives you transparency across the supply chain enabling you to see how driver availability effects the delivery schedule. All this in real-time allowing you to foresee scheduling problems and avoid unsatisfied customers whilst maintaining your brand image. Contact us to see how we can engage your drivers and streamline your operations to give you the big picture. We want you to create great customer experiences while saving you time and money with Ubidata’s mobile logistics systems.